Happy 3-days-’till-St. Patty’s-Day everyone! 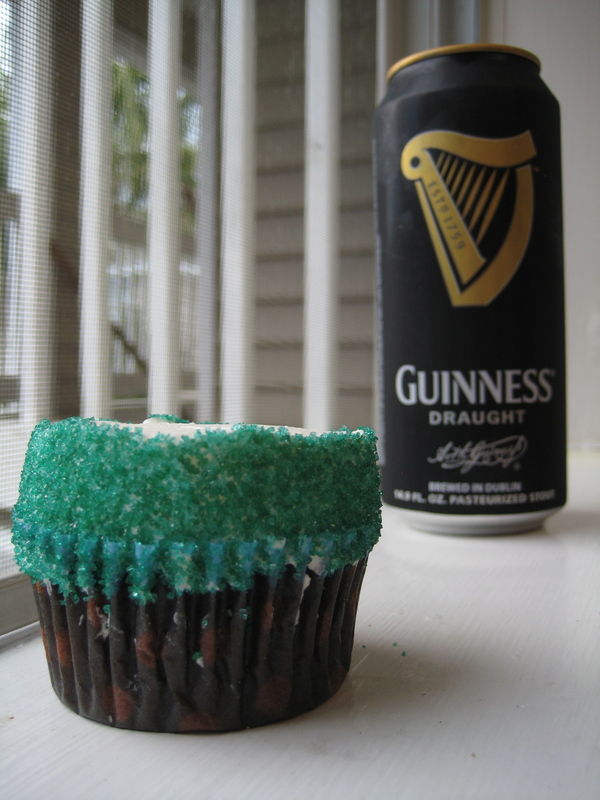 In celebration of this upcoming holiday I’m sharing my recipe for Guinness Chocolate Cupcakes. This is a recipe I developed last spring when I was getting ready for Cupcake Camp Boston. The cupcakes were a big hit at the event and my co-workers enjoyed testing out the cupcakes as I worked on the recipe. 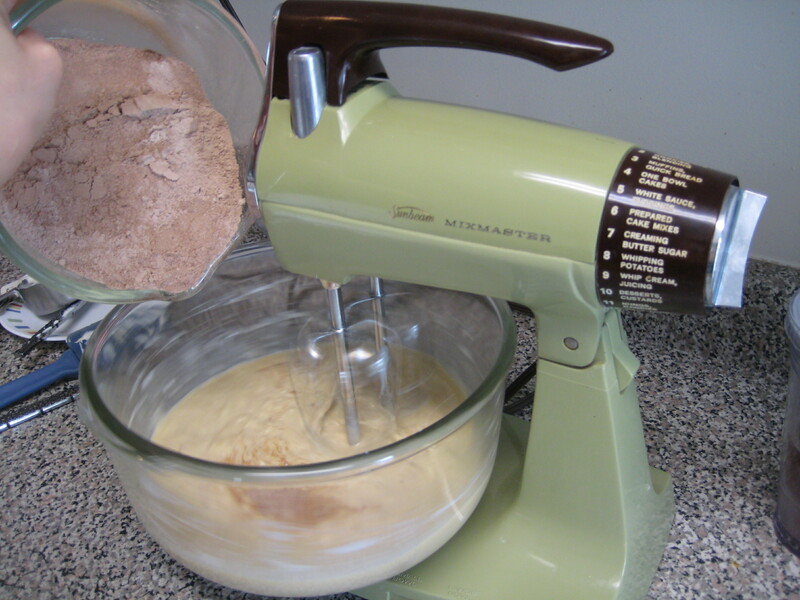 However, before I get started on this recipe, I want to take a second to talk about my mixer. The stand mixer that I had been using for the last few years died on me a couple of weeks ago. One of my roommates was using it to make pizza dough and it just stopped working and never turned back on. 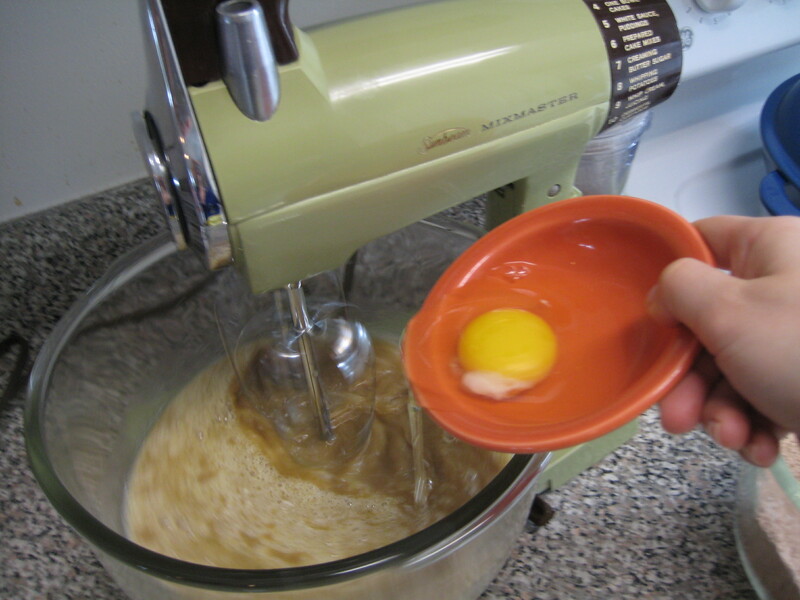 But do not frett, I have a back-up mixer! And no harm came to said roommate, because honestly, I knew the mixer was on it’s way out. Behold my new-old Sunbeam mixer! Ah yes, gaze upon it’s retro-lovlieness, it’s creamy avacado color. And check this out, the different mixing levels are labeled. 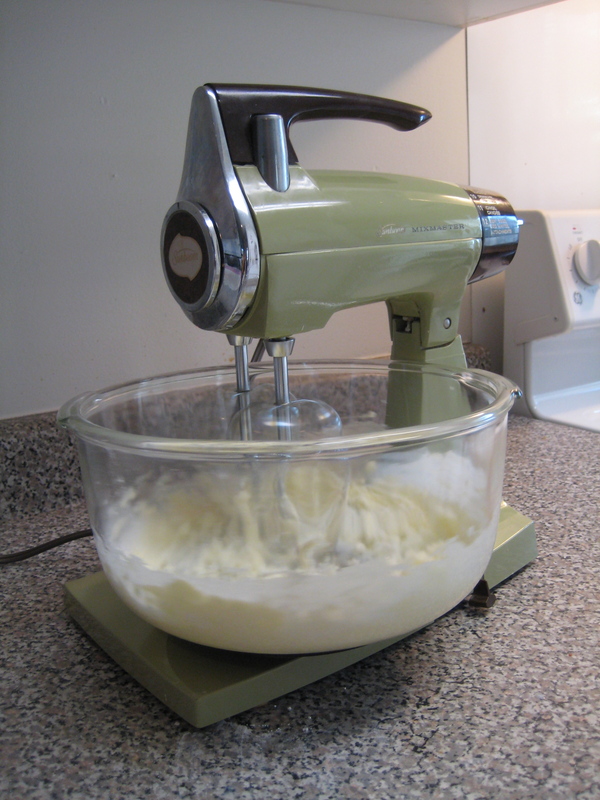 I got this fabulous new-old mixer from Mary, one of my coworkers from Pearson. Aside from my parents I believe Mary to be my # 1 fan. Thanks again, Mary for this fantastic mixer, I am so happy to have it! Start by preheating the oven to 350 degrees and preparing cupcake pans with liners. Melt the butter in a small saucepan and set aside to cool slightly. The butter should be melted completely, but not piping hot. 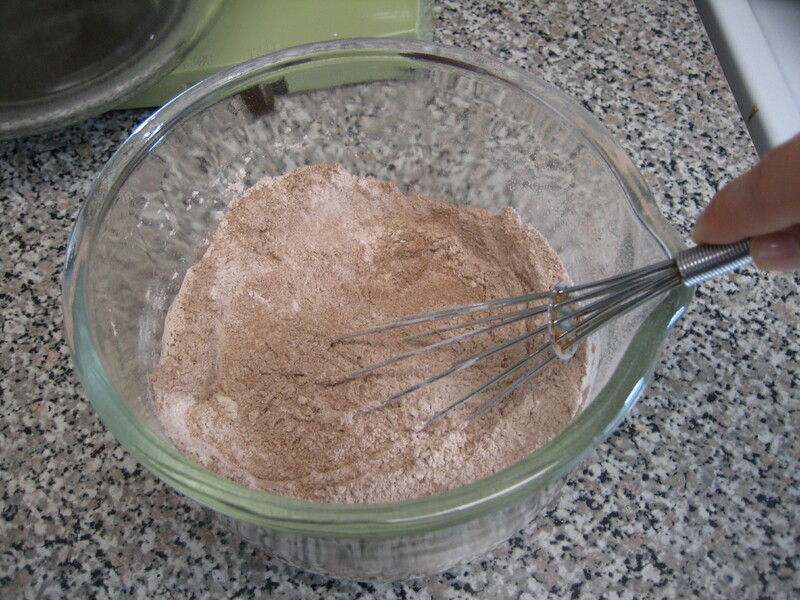 Next, in a small mixing bowl, whisk together the cocoa powder, sugar, flour, baking soda, and salt. Set aside. 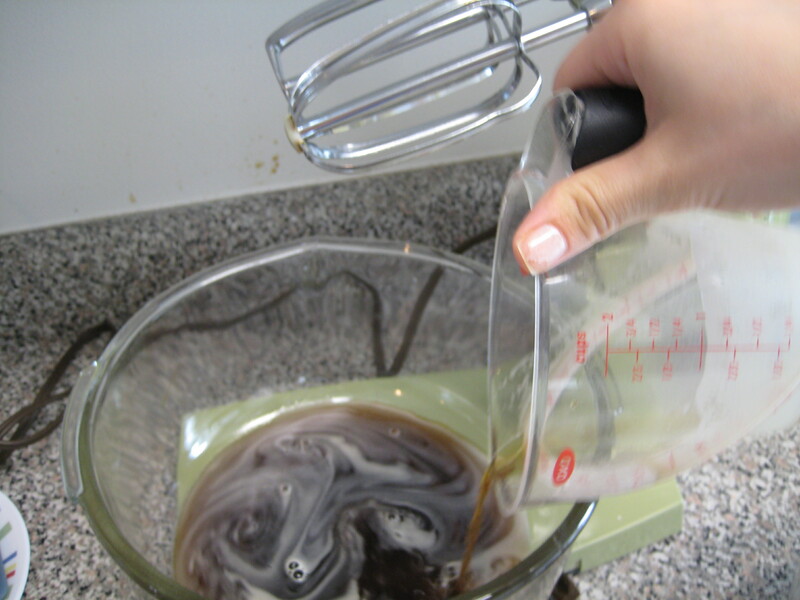 Using a stand or hand mixer, combine the Guinness, melted butter, and vanilla extract. Next add the eggs one at a time. After the eggs, add the sour cream to the mixture, and mix until the ingriendents are thouroughly combined and the batter is smooth. Finally, add the dry ingredients to the batter 1/3 at a time. Pour the batter into the lined cup pans and bake for 10 minutes. Rotate the pans and bake for another 10-12 minutes. 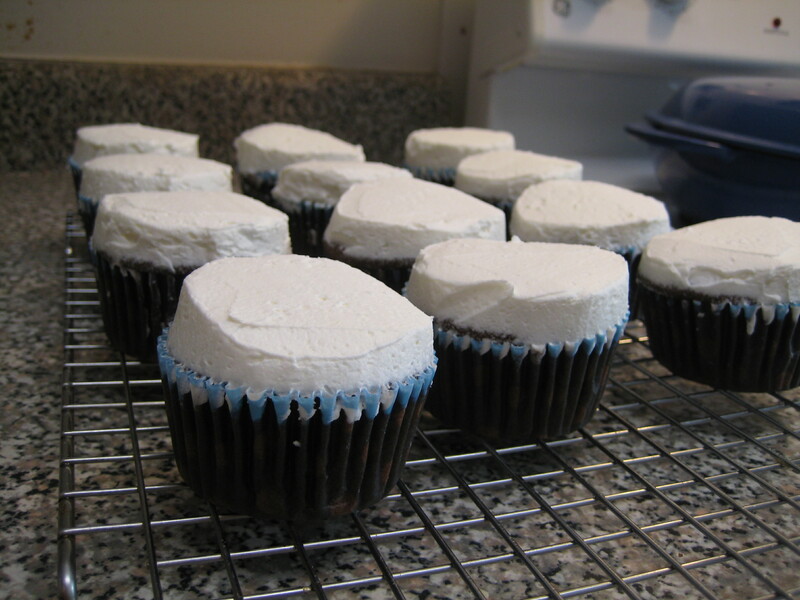 The cupcakes are finished when they are slightly risen and domed, and set in the middle but still soft and tender. 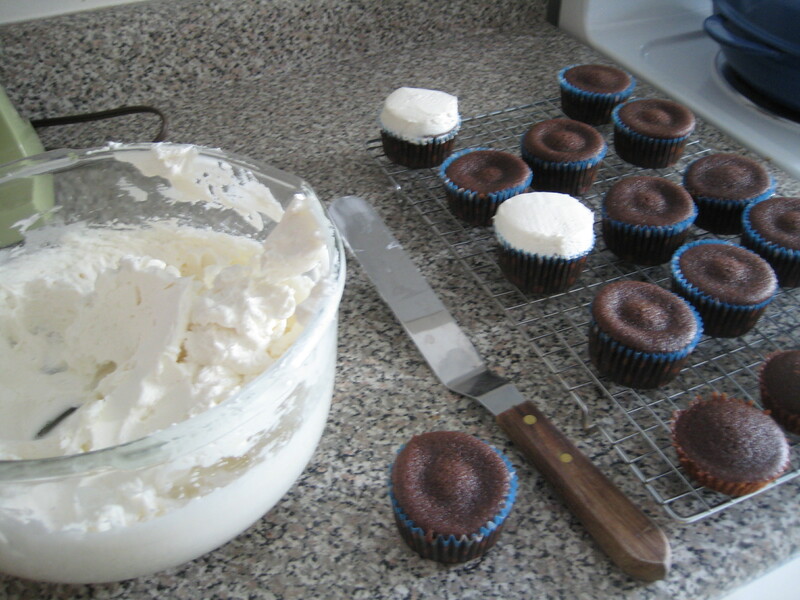 Allow the cupcakes to cool completely before frosting. I suggest using your favorite vanilla buttercream or a whipped cream frosting. And enjoy with a tall glass of Guinness. Happy St. Patrick’s Day! If you enjoyed reading this post, be sure to subscribe to Reckless in The Kitchen and so you never miss out on a delicious post! Start by preheating the oven to 350 degrees and preparing cupcake pans with liners. Melt the butter in a small saucepan and set aside to cool slightly. The butter should be melted completely, but not piping hot. 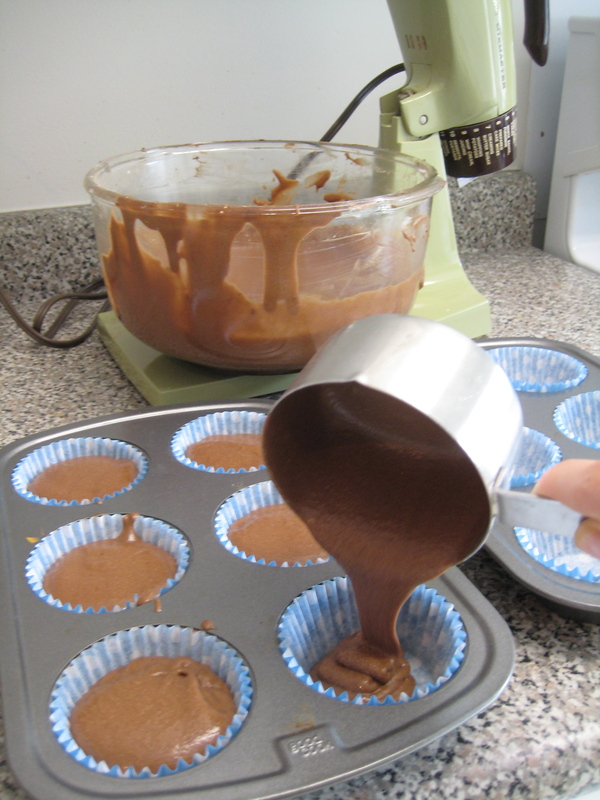 Next, in a small mixing bowl, whisk together the cocoa powder, sugar, flour, baking soda, and salt. Set aside. 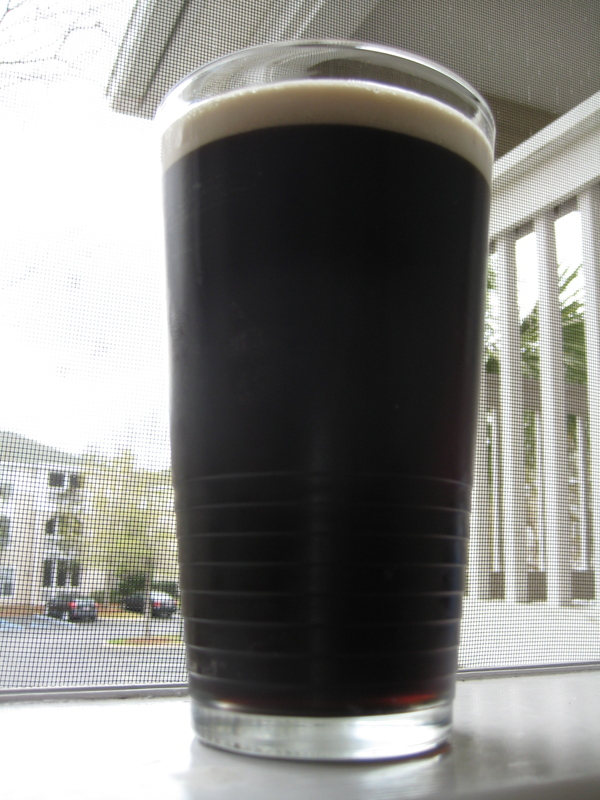 Using a stand or hand mixer, combine the Guinness, melted butter, and vanilla extract. Next add the eggs one at a time and mix to combine. After the eggs, add the sour cream to the mixture, and mix until the ingredients are thoroughly combined and the batter is smooth. Finally, add the dry ingredients to the batter 1/3 at a time. My mother had a similar mixer in harvest gold! I have tried these cupcakes and they are very good! Oh yes, they are SO good! But I’d be remiss if proper credit for the new-old mixer didn’t go to The Diva, who graciously allowed her mixer to go to someone who would make FAR better use of it!! And you are right, I am indeed your #1 fan! 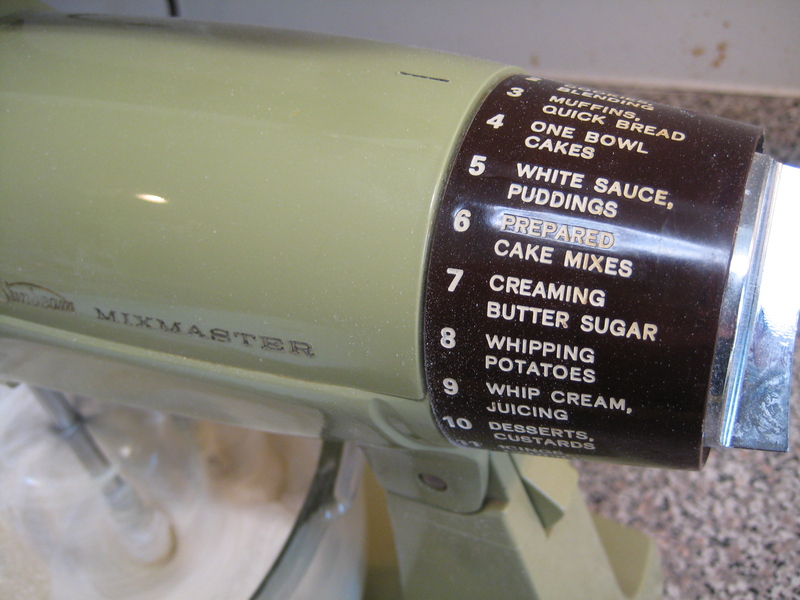 My mother had a Mixmaster, too–complete with those helpful mixing level labels. But it was from before the avocado and harvest gold crazes. It was white and worked great for at least fifty of my mother’s ninety-three years.